Adhesive, epoxy, bonding film, and tape stock in either sheet or roll format are easily laser converted into any perform shape or profile. 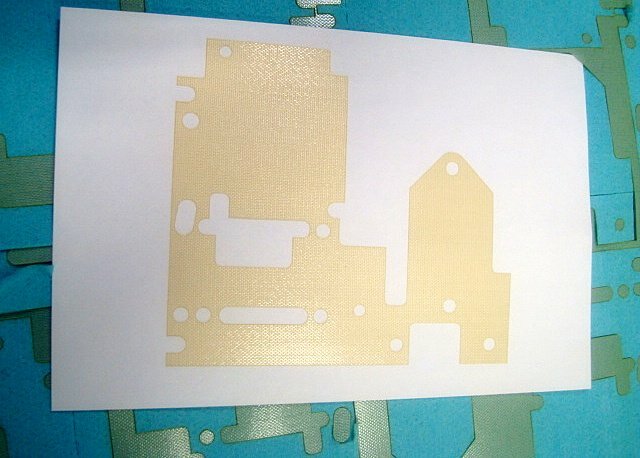 With or without carrier films and protective liners, single sided or double-sided adhesives are cleanly laser cut. Adhesives can be silicone, acrylic, rubber, or hybrid based that cut through the carrier film or stopping in the carrier film (‘kiss-cut’) for ‘peel and stick’ applications. MLT’s laser cut adhesives and tapes are selected based on environmental, thermal, cure, bond strength, chemical resistance, and electrical properties. Adhesive preforms are laid out to maximize part quantity on specific sheet or roll width. Our preforms can be turned in 24 hours from an assortment of climate-controlled, stocked materials. Adhesives that require refrigeration can be shipped in special dry ice packaging. Our lasers are optimized for low cost prototype runs to production volumes with precision, cut quality and consistency. MLT’s laser produced adhesive / tape preforms have no requirement for expensive tooling or dies. This eliminates quality issues contributed to tooling wear and adhesive build up. Combined with our ISO 9001 quality management system, the first adhesive preform will be produced with the same quality as the last. 3D features or features that have depth like pockets can be created. The adhesive can be selectively removed to prevent adhesion in those areas. MLT can optically align to the adhesive materials to precisely registered cuts relative to existing features. A listing of adhesives, bonding films, epoxies, and tapes are listed below with example part numbers. To request a quote or need assistance with material selection, contact our sales staff or submit a Request for Quote. Adhesive Transfer – 3M™ 467MP, 9472LE, 300LSE, 9471LE, 468MP, 9626, and 9627. 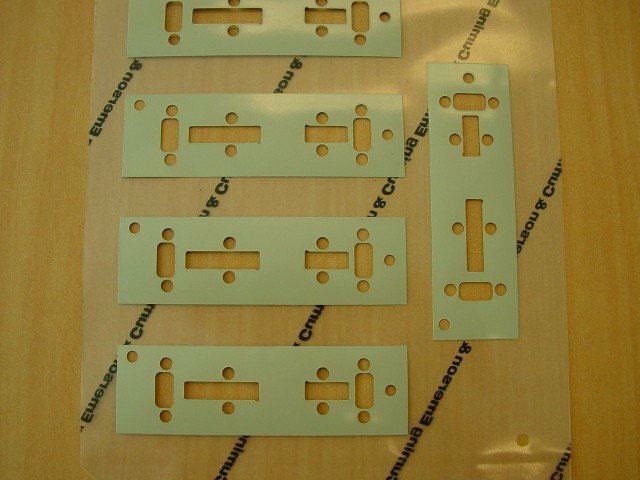 Applications: gasket bonding, nameplate or logo attach and stiffener assembly, bonding to substrates. Woven & Non-Woven Fabrics or Cloth – 3M™ Nomex® Meta-Aramid Fibers, Nomex® Fiber, Tyvek® Olefin Fibers. Cotton, polyester, acetate, nylon coated with PTFE, polyethylene, silicone, rubber or vinyl. Foam – 3M™ VHB™ 4905, 4910, 4920, 5390, PORON 4701- 60, PORON 4701- 60, 4032. Acrylic, Polyethylene, Urethane (Polyurethane / Poron®), Sponge Rubber (Neoprene, EPDM, SBR), and Vinyl in open or closed cell. Foil and Foil Laminated – 3M™ 1181, 1194, 425. Aluminum, Copper, Lead, Stainless Steel, Paper, Polyester, Plated, and Tinned. Paper – 3M™ 232, Avery FT C, Flatback Paper, Crepe Paper, Tissue Paper, Fish Paper, Kraft Paper, Clay Coat Paper, Masking Tape, Drafting Tape, Artist’s Tape, and Painters Tape. Hook and Loop – 3M™ Scotchmate™ Reclosable Fasteners; 3M™ Dual Lock™ Reclosable Fasteners; and Velcro®.